"The antipathy that congressional Democrats have today toward President George W. Bush is reminiscent of their distrust of President Ronald Reagan during the Cold War, a political science professor says. 'We see some of the same sentiments today, in that some Democrats see the Republican president as being a threat and the true obstacle to peace, instead of seeing our enemies as the true danger,' said Paul Kengor, a political science professor at Grove City College and the author of new book, The Crusader: Ronald Reagan and the Fall of Communism. In his letter, KGB head Viktor Chebrikov offered Andropov his interpretation of Kennedy's offer. 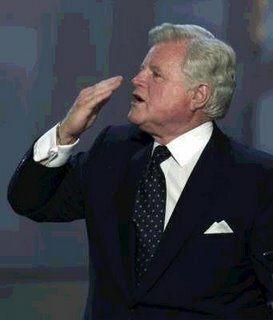 Former U.S. Sen. John Tunney (D-Calif.) had traveled to Moscow on behalf of Kennedy to seek out a partnership with Andropov and other Soviet officials, Kengor claims in his book." Read more.